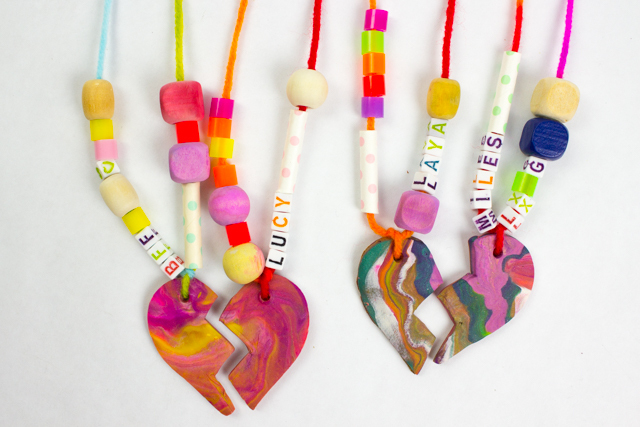 If you're looking for a super easy kids craft that you can make from recycled materials... this is it! 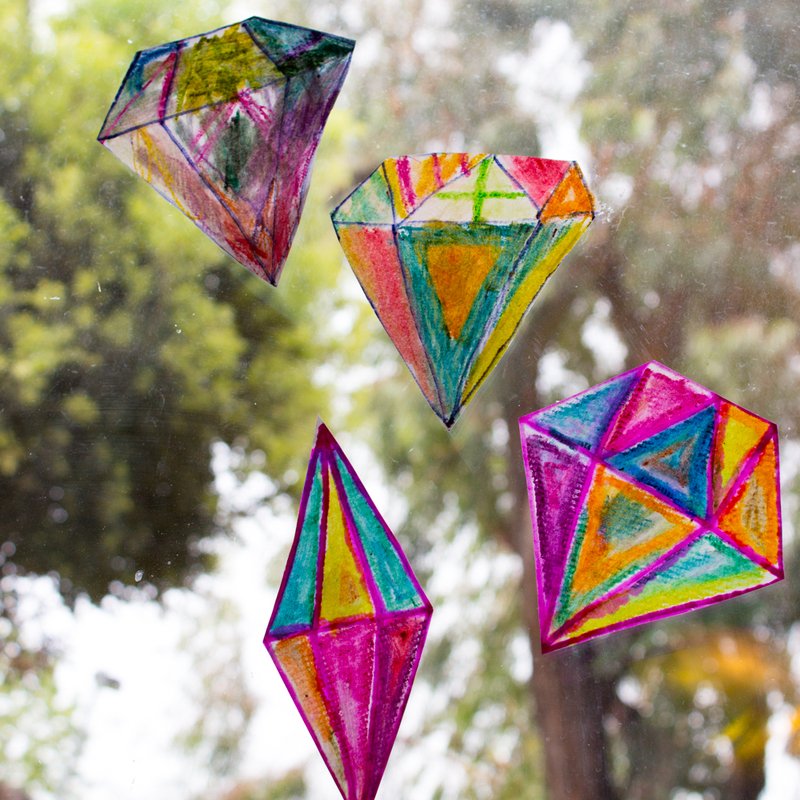 We've tried making several fun suncatcher crafts with the kids. 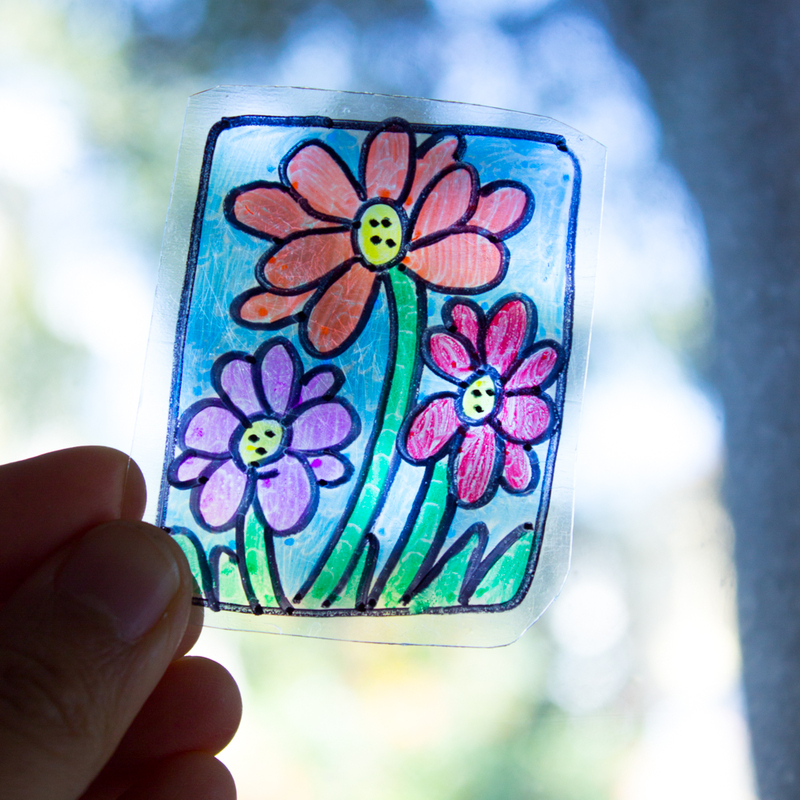 But today's suncatcher craft is by far the easiest one ever. You can literally make dozens in minutes. Intrigued? Read on! Have you ever tried "painting" with oil pastels? Every so often I feel all artsy-smartsy and pull out my big 'ol box of oil pastels and do an easy oil pastel craft with my kids. This past week I felt the urge and we made these crystal suncatchers by "painting" with oil pastels. The results were pretty gorgeous and the process was fun too! Well, the title pretty much says it all! These paper cup flower heads would make such a great Spring Craft or Mother's Day Craft. 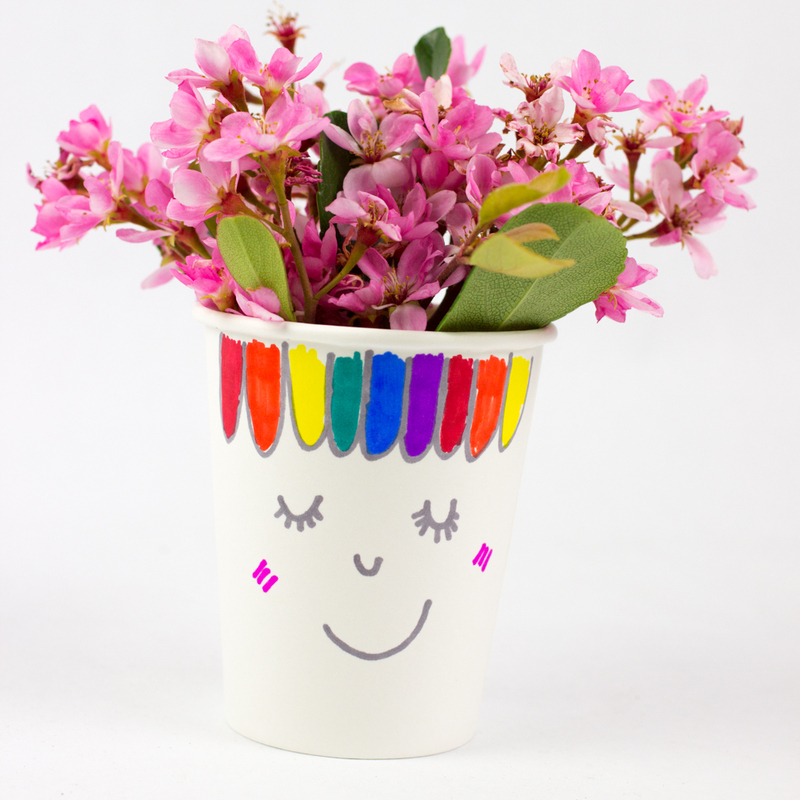 All you need to make them are plain paper cups, a bunch of lovely flowers, and some markers! 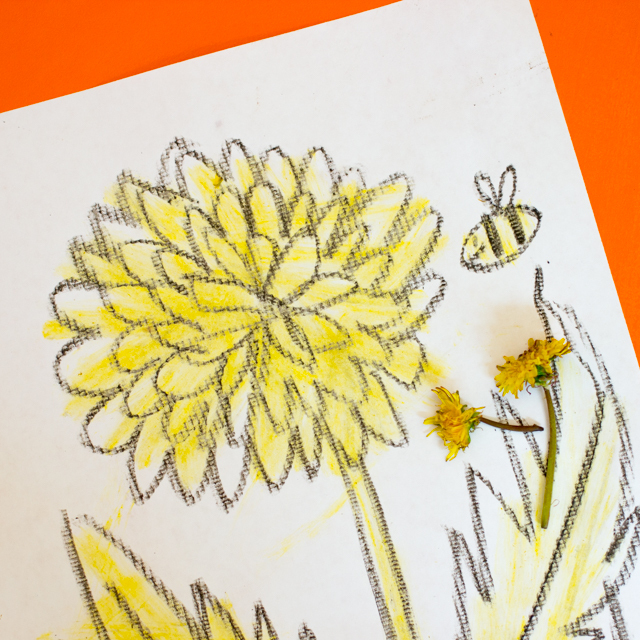 One of our favorite Spring crafts is painting with dandelions. Dandelions are such a funny flower because every kid loves them, but every home-owning adult seems to despise them. We don't really have a front yard, so I personally adore them. My youngest and I recently spent one morning picking the yellow flowers and blowing the seeds around (sorry, neighbors!) Awhile back, I shared how we turn dandelions into dandelion chains and crowns. 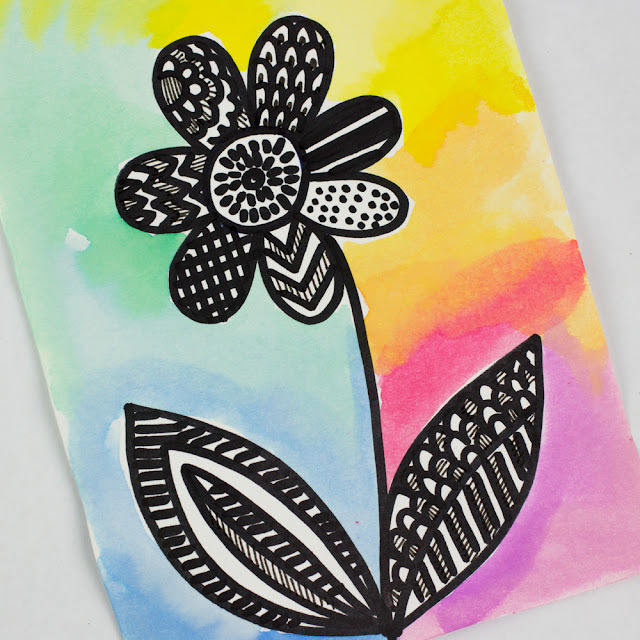 Today, I'm sharing another fun craft to do with the yellow flowers- paint with them! Spring has finally sprung in our neck of the woods. Flowers are blooming and everything looks bright and beautiful. Wheeee! 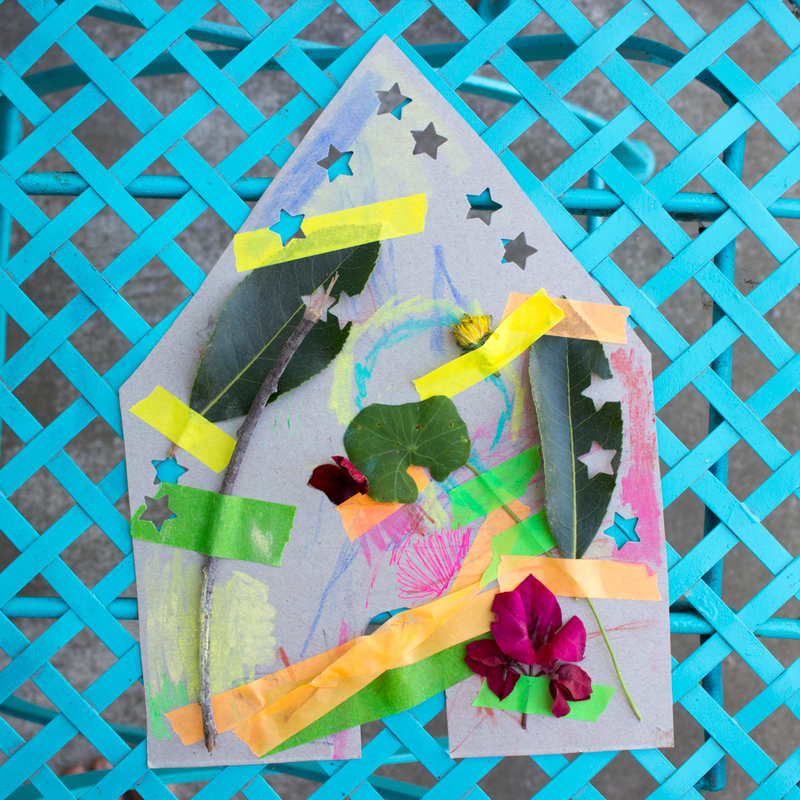 Inspired by the gorgeous weather and an amazing wave art project that I saw on IG, today I'm sharing a pretty, flower-themed kids art project. 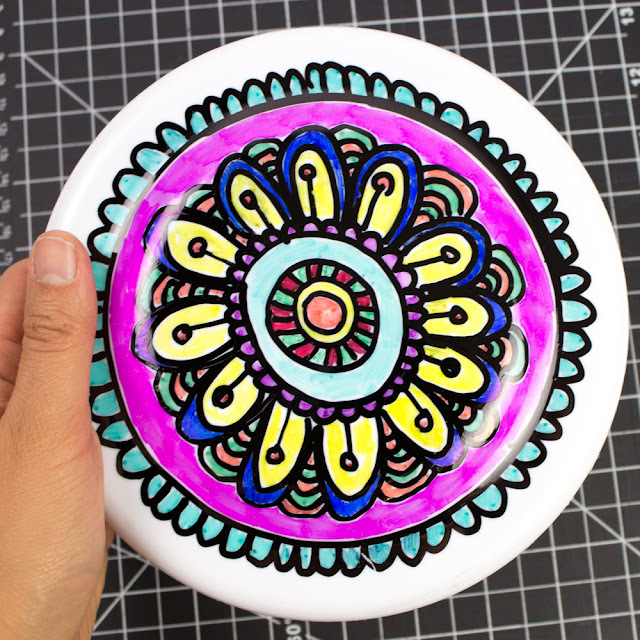 These zentangle flowers were very relaxing to doodle and the bright colors make the final results stunning! Easter's coming up in a couple of days and I realized that I never shared any Easter Crafts this year. 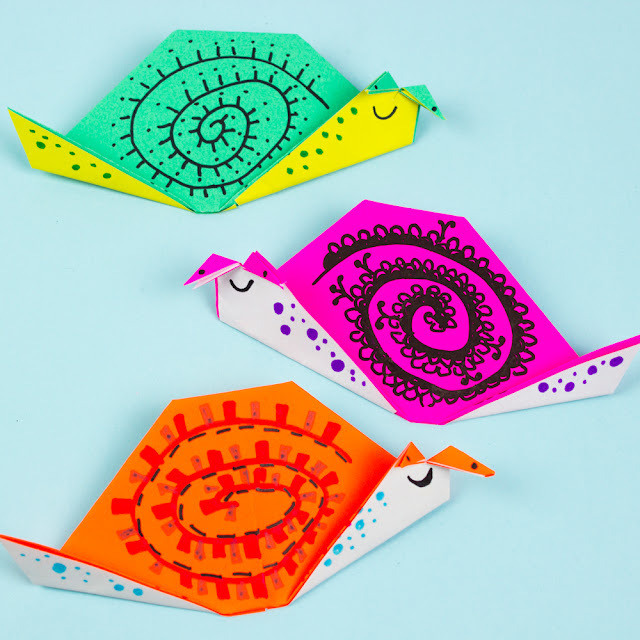 So here's a quick craft that you can whip up with the kiddos this holiday. 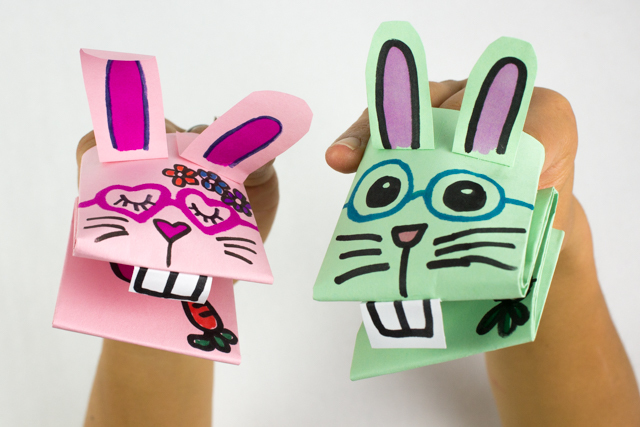 These adorable bunny puppets are easy to make, fun to decorate, and even more fun to play with! 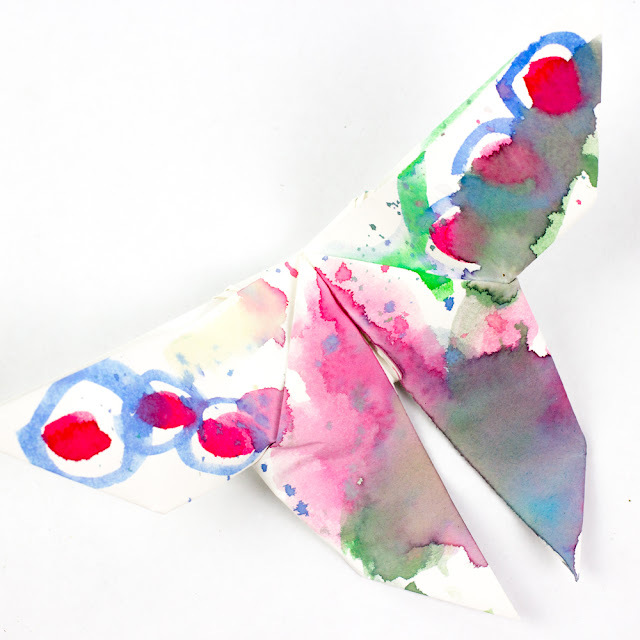 Let's Make Some Paper Bunny Puppets! Sometimes it feels like we go in craft cycles. Before, my son and I were really, really into origami projects. Now I'm starting to dream about doing more weaving projects. There's something really beautiful and relaxing about the process of weaving. There's a lovely pattern of movement and you always seems to get beautiful results. 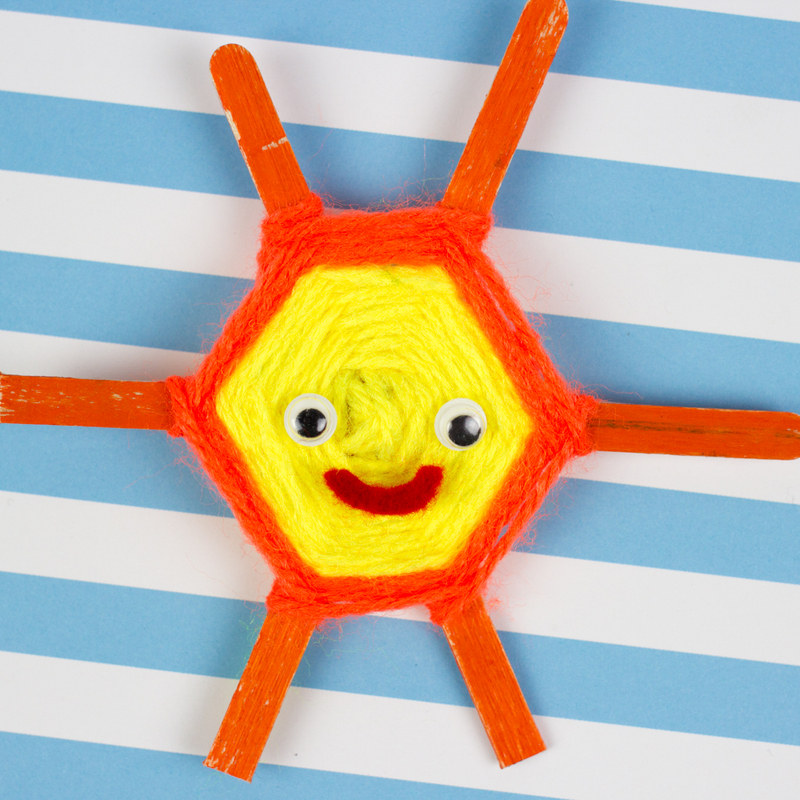 So, in celebration of the sunny and warm weather, I recently made this really cute smiley sun popsicle stick weaving. If you enjoy weaving God's Eyes, you'll really enjoy this craft too! Well, the title of the post pretty much says it all! 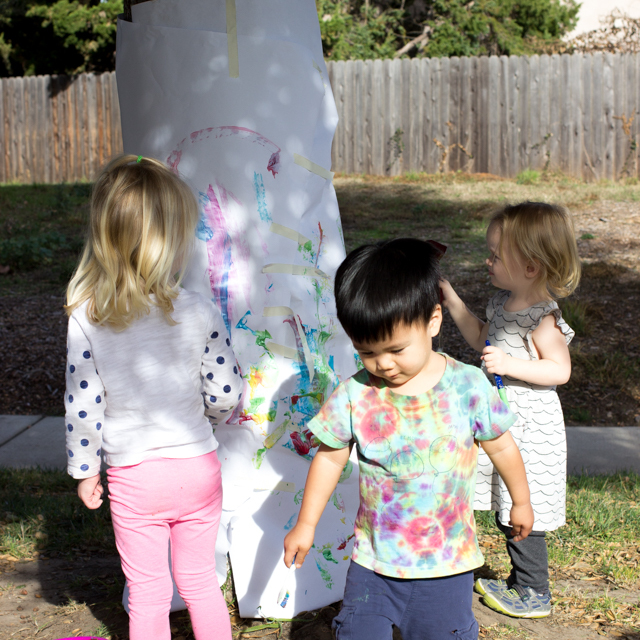 Last week we held an impromptu art playdate with some friends. I wanted to do an activity that was different, open-ended, and easy-to-set-up. This tree painting activity did the trick! Let's Paint the Trees together! Am I late to the hedgehog trend? 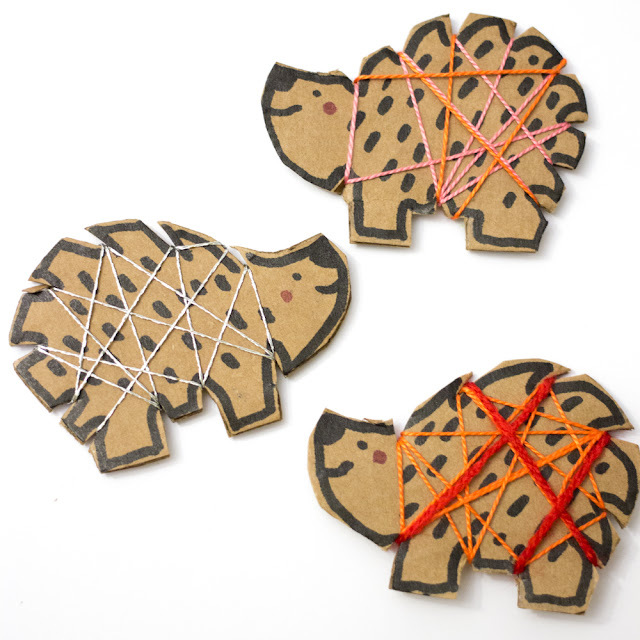 Lately I've been looking at a lot of hedgehog crafts. A couple of years back I made this giant cardboard hedgehog ring toss. (Didn't see it? Definitely check it out because it was adorable!) Today I'm sharing these tinier hedgehog crafts- String Art Hedgehogs! 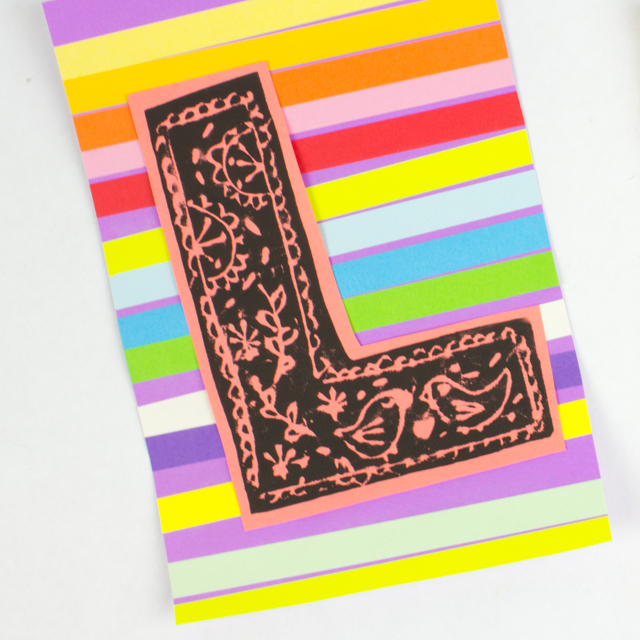 Easy Printmaking Project for Kiddos: Colorful Initials! Howdy friends! Today I wanted to just pop in and share this colorful, kid-friendly printmaking project. I know, it's been awhile since I've shared a printing project here. (I've been shying away from messier projects lately because my youngest has now entered the VERY precocious and active toddler years. Ahhh! ) But, I recently took a printmaking course and was enamored with the whole process.... so I had to try out the process with my eldest. 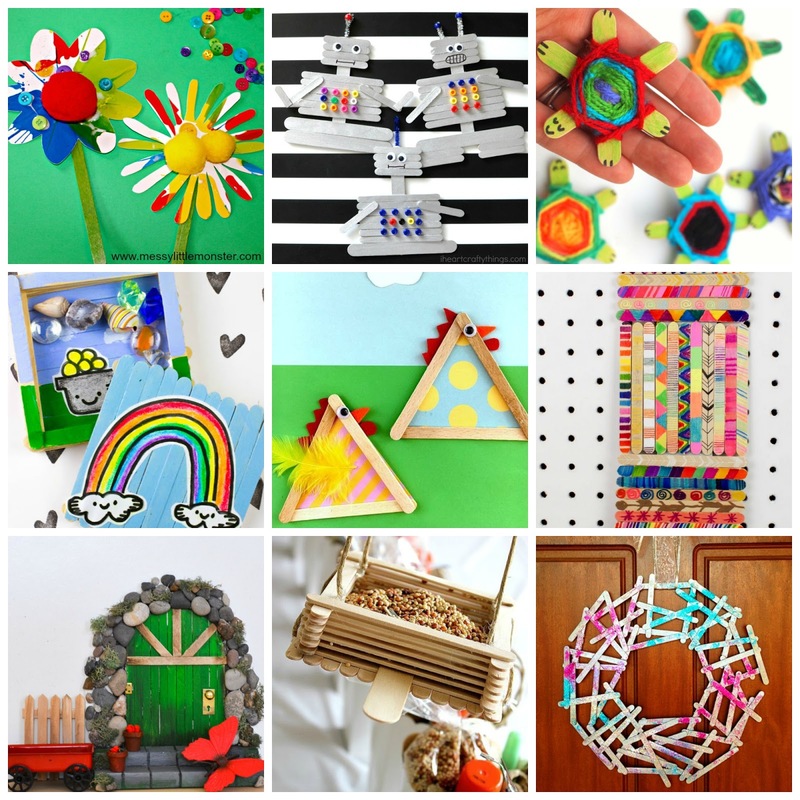 We love popsicle stick crafts! 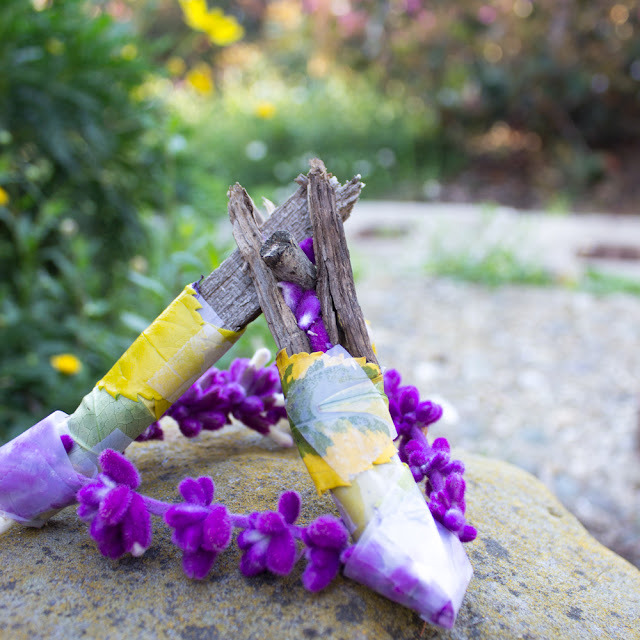 (Or do you call them craft stick crafts?) 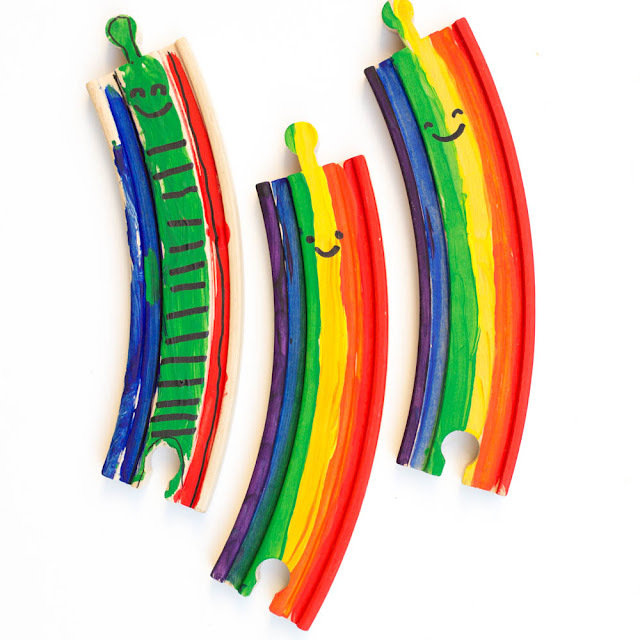 Whatever you call these wooden sticks, I think we can all agree that they offer endless opportunities to create. Stuck in a rut about what to do with them? 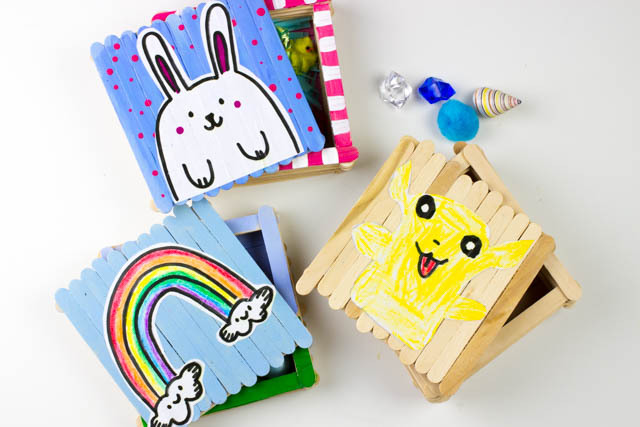 Well, here is a list of over 20 easy, cute, and fun popsicle crafts! 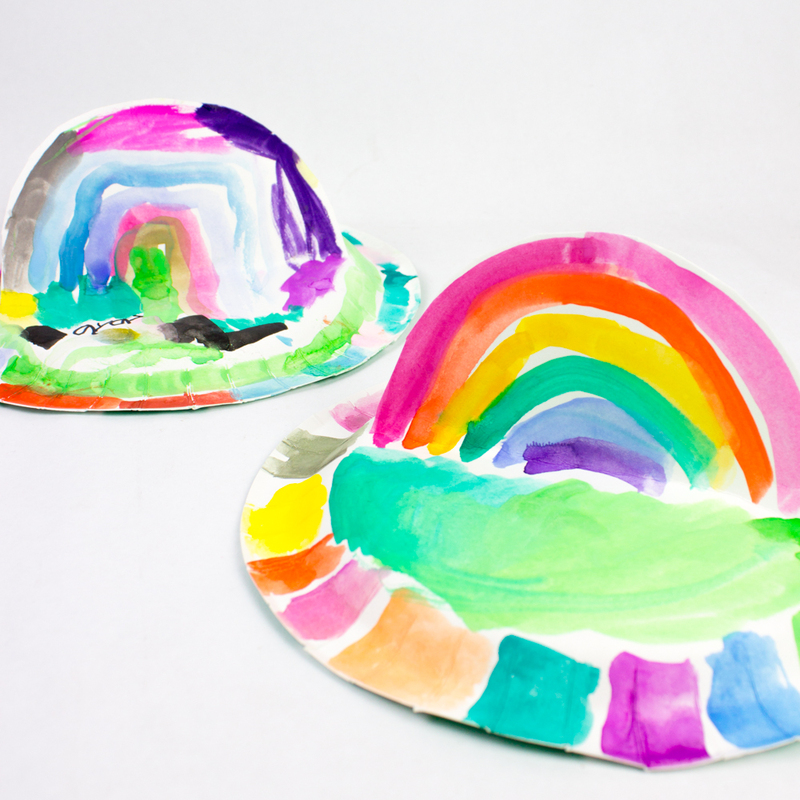 Today we're sharing another super easy rainbow craft. Why? Because I love rainbows. And, because I love breathing new life into our old toys.